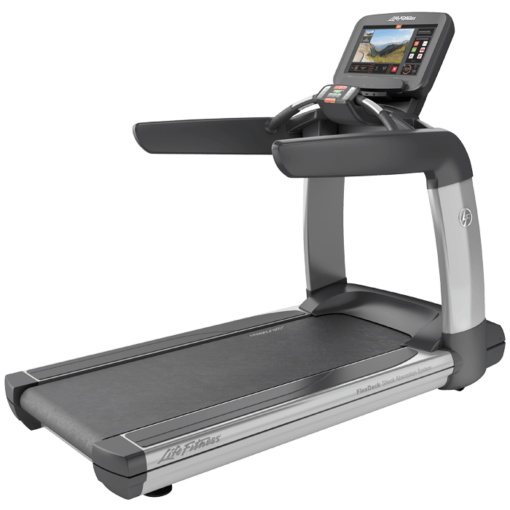 Home / Shop / Brands / Life Fitness / Life Fitness Elevation Discover SE Commercial Remanufactured Treadmill. 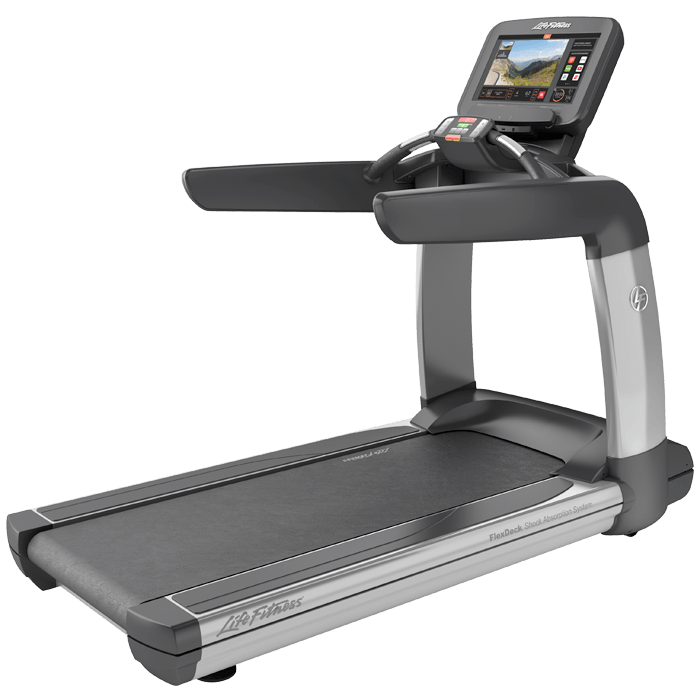 Life Fitness Elevation Discover SE Commercial Remanufactured Treadmill. 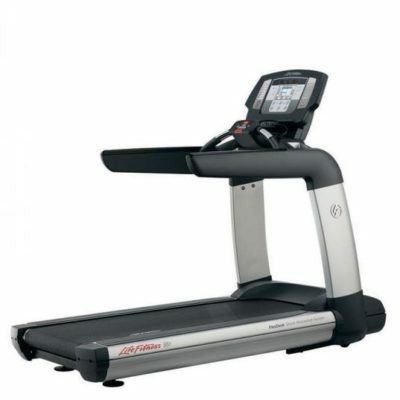 The Life Fitness 95T Discover SE Treadmill offers the ultimate home cardio workout experience. 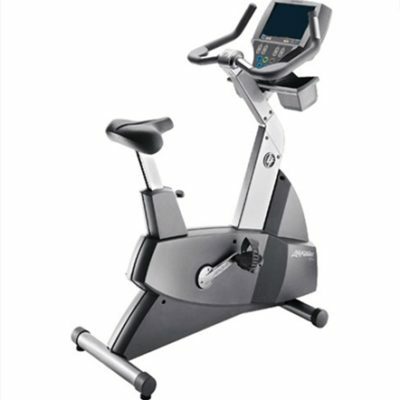 It has a sophisticated design and a full set of features intended to keep exercisers motivated. The integrated LCD touch-screen features an abundance of entertainment options, enhanced interaction, Internet connectivity and much more. Discover Tablet Consoles are club-quality technology, for the home. Both consoles are compatible with Apple devices and Android™ smartphones. The Discover SE console features a 19″ touch-screen with integrated TV. Personal Identification Technology: Find your favorites with ease when you login to your LFconnect settings on Discover. Your preferred workouts, websites and display settings instantaneously load so you can get on and go. All you need is a smartphone, PIN, USB drive or RFID* to access personalized content. Entertainment On Demand: Watch on-demand videos. * Tune into a favorite sitcom, watch the hottest music videos or play solitaire. There are thousands of entertainment options that will engage any interest. Surf The Web: Thanks to Discover’s Internet connectivity capabilities, you can visit a website or play a game. * Easily choose your favorite websites through your LFconnect account and they will be instantly available at login. 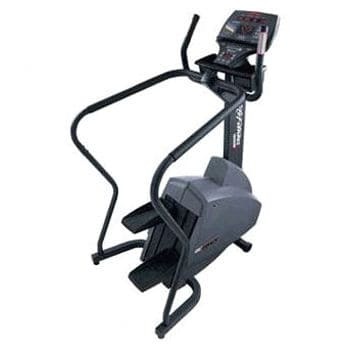 1 review for Life Fitness Elevation Discover SE Commercial Remanufactured Treadmill. This treadmill does not disappoint. Virtually brand new condition – I could not tell that this was ever used. Whisper quiet motor, soft deck and awesome TV to keep me motivated. Love it. Great Treadmill Tom, One of the latest contenders to Life fitness Commercial treadmill Line up!